Today marks my successful completion of Juneathon 2015. I can now return to my usual output of a couple of blogs a month. Juneathon injuries – a sore right heel and tight right calf. Best Juneathon blog – there are loads of amazing Juneathon blogs, go and have a read. Will I take part in Janathon/Juneathon in 2016? I’m not sure but it’s always a possibility. After getting lost on Day 9 of Juneathon. Finally, I’d like to thank everyone who has commented on my Juneathon blog entries, and the numerous runners who have supported me over on Twitter. 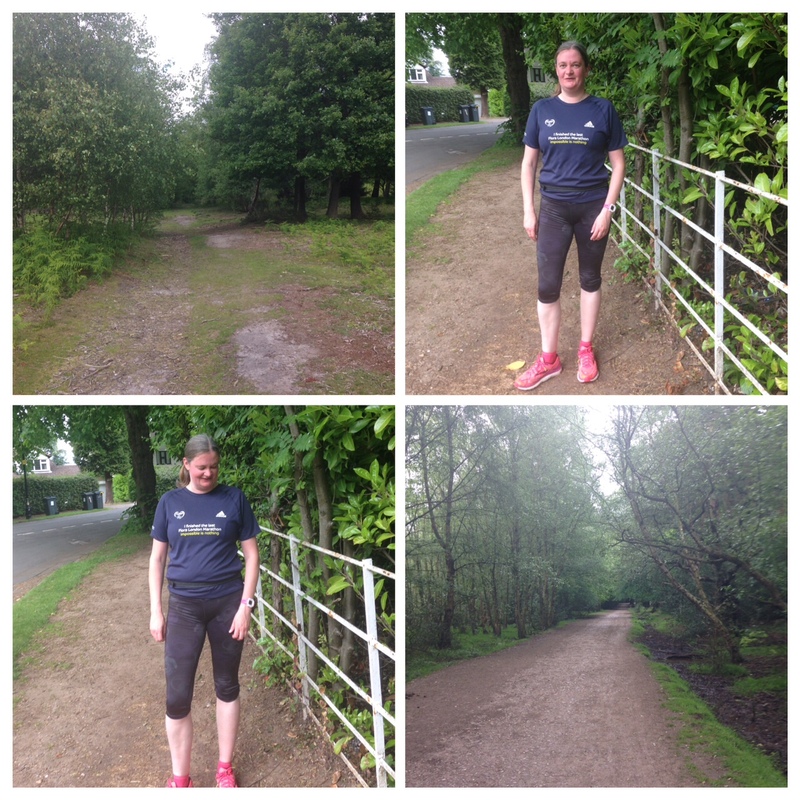 The penultimate day of Juneathon corresponded with the start of my attempts to train for the Birmingham Great Run which takes place in October. I can manage a gentle jog! At lunchtime I travelled down to London on a scarily empty train to meet a friend. From what I can recall, in the evening I drank several bottles of Monteith’s beer and ate far too much gorgeous Italian food. The end of Juneathon weigh-in could be slightly embarrassing. As I feel like I need to spend more time on my feet before attempting to follow a half marathon training plan, the aim on Sunday morning was to complete a 10k run-walk training session. The weather was perfect (wet and mild) but my legs unfortunately had other ideas. People always assume that having long legs is an advantage as a runner; it isn’t when they aren’t functioning properly. I ended up bailing out of my run when I reached 5k. At least I can run at the moment. In the afternoon I headed into Birmingham on the train and found myself in the trainers/dodgy sports shoes section of TK Maxx (it’s amazing when this happens). 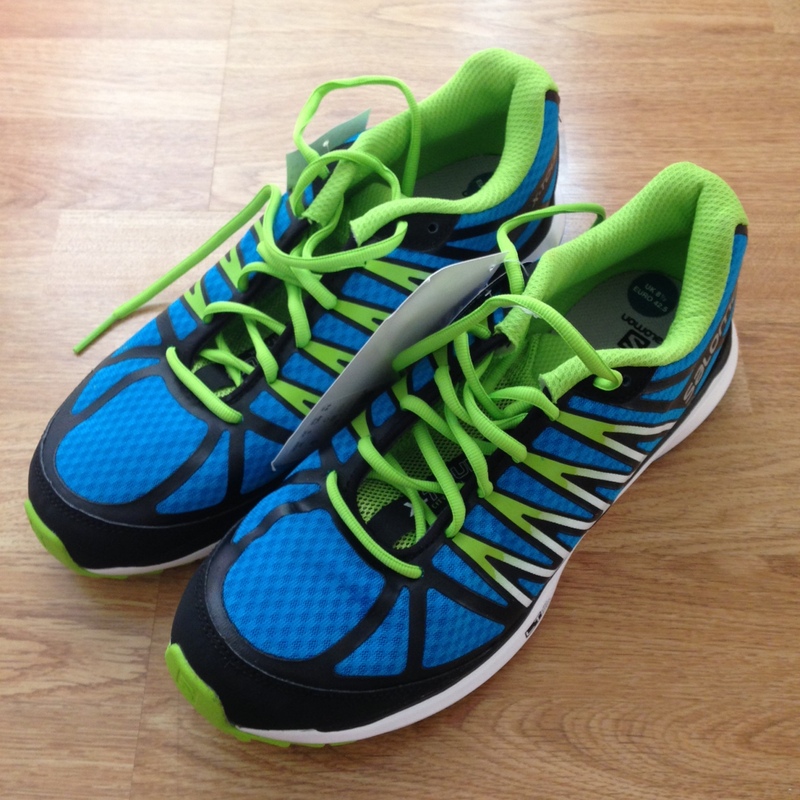 Hidden away in the clutter I spotted these Salomon trainers. When I saw that they were large enough for my boats and only cost £10 I decided to buy them. At £10 what could possibly go wrong? The end of Juneathon is getting really close. Thankfully I’ve only got to remember to blog write a load of waffle for three more days. My Day 27 Juneathon #slactivities included in no particular order… sorting out a week’s worth of washing, ironing, vacuuming, eBaying, buying and then walking to the nearest station to collect some train tickets, a lunchtime walk, eating, some tennis tournament preparation and an afternoon nap. I’m planning to fit in a slow and steady 5km run on Sunday morning before it gets too warm and humid. On Monday the beginners training plan I’ve selected for the Great Birmingham Run springs into life. Fingers crossed my foot behaves and I’m able to complete a “gentle 3 mile jog”. I decided to ignore the heavy rain and successfully completed my first post blood donation run-walk-run. As I’m a genius I headed out the door at midday and rapidly discovered that although it was very wet, it was also very humid. Why is running when it’s humid so difficult? If my sums are correct, I *think* that this run brought my June total to more than 39 km. With a few days to go this represents the furthest distance I‘ve run in a month for ages. While on the subject of tennis I want to have a small rant. This week Nike UK advertised a couple of “ballots” on twitter. The first was for the opportunity to meet and have a hit with Roger Federer and the second with Serena Williams. Predictably my 100 per cent failure rate with Nike “ballots” continued and I was unsuccessful in both. Thanks Nike UK! It’s good to see tennis volunteers being given these great opportunities. It’s not really a “ballot” when several people entered and were instantly allocated places is it? On a far more positive note I watched the first part of the documentary on Sean Conway’s attempt to run the length of Britain. Sean previously cycled the length of Britain and more recently swam the length of Britain.